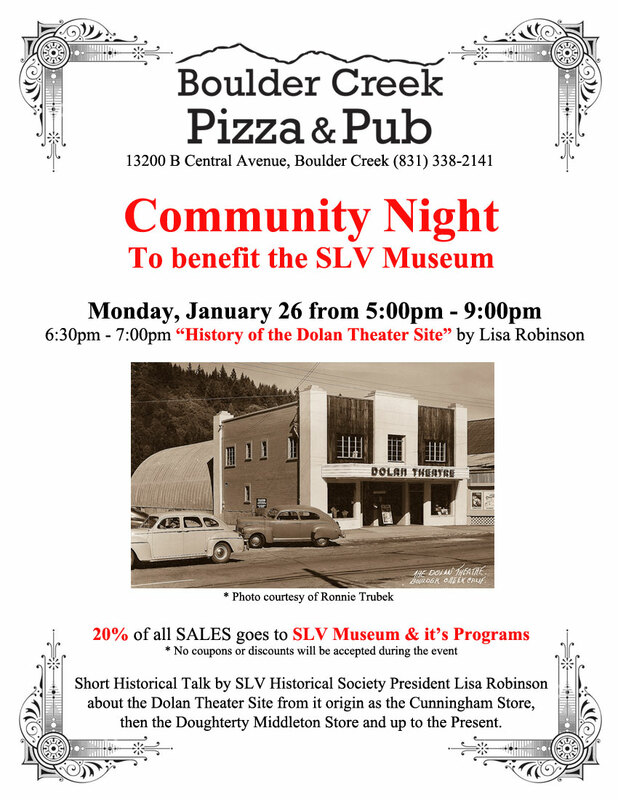 Boulder Creek Pizza & Pub is sponsoring a Community Night to benefit the San Lorenzo Valley Museum and their programs this Monday from 5:00pm – 9:00pm. 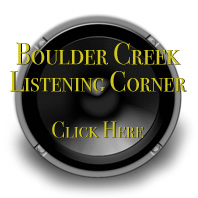 There will be a short historical talk by SLV Historical Society President Lisa Robinson from 6:30pm – 7:00pm titled “History of the Dolan Theater Site”. 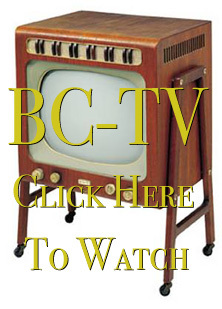 The talk will cover the history of the building from its origins as the Cunningham Store, then the Doughterty Middleton Store, and up to the present. After the talk Lisa will be taking questions about the building and other buildings in the area. 20% of all sales goes to the museum and their programs. So come on out, support our local museum, have great food, learn some history, and enjoy a wonderful night out.